First Line: The headline catches Heloise's eye as she waits in the always-long line at the Starbucks closest to her son's middle school. Heloise Lewis has spent most of her life avoiding attention. She lives in a comfortable suburb where very little is known about her. Ask anyone in the neighborhood and they'd probably tell you that she's a youngish widow with a beautifully mannered son, and that she's a lobbyist who always seems able to attend all her son's soccer games and school plays. But almost all of that is a lie. Since the age of seventeen, Heloise has been a prostitute. When her pimp was imprisoned for murder, she changed her name and set herself up as a suburban madam. It's not only important for her work that she remain beneath everyone's radar, it's important for the life she's created for herself and her son. She's kept the boy a secret from his father, and even though she's visited the man twice a month in prison for over a decade, she's kept the boy a secret from his father. But Heloise's rigidly compartmentalized life is beginning to unravel. Her accountant is asking questions that he shouldn't. One of her former employees is causing problems. Her protector is hinting at some sort of mysterious danger she should prepare herself for. Another suburban madam in the next county is an alleged suicide... and her son's father may be released from prison. The pimp/ murderer doesn't know he has a son, and he doesn't know that Heloise is the person who betrayed him. This woman, who has no formal education, no real family, and no friends, must put an end to this life and create a brand-new one for herself and her son. Disappearing is the easy part. She's done it before, and she knows she can do it again. The difficult part will be staying alive long enough to begin the new life. 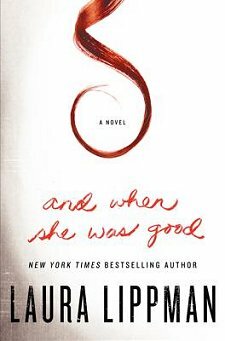 I have long been a fan of Laura Lippman's standalone novels. She has the knack of focusing on a character (whom I would find almost completely unlikable) and making her fascinating. She does the same thing here in And When She Was Good. I smiled at Lippman's choice of title. My mother used to recite this little poem to me when I was a very small child: "There was a little girl who had a little curl right in the middle of her forehead. When she was good, she was very, very good. And when she was bad, she was horrid." That immediately told me that Heloise, although capable of great good, is also capable of doing damage. Superficially, the plot doesn't break new ground. A young girl with an abusive father runs away with the first male who pays her attention. Things go from bad to worse, and the young girl turns to a life of prostitution. Her pimp is a murderous control freak, but she manages to get away from him and make a comfortable life for herself and her son-- and of course her past refuses to stay in the past. Yes, the plot may very well sound familiar, but it's what Lippman does with that framework that makes the book so very good. As one thing after another begins to go wrong in Heloise's very carefully crafted life, she is taken on a voyage of self-discovery. Gradually she comes to learn that, although she's always believed she was more sinned against than sinning, the exact opposite may well be true. It's only when she confronts the truth of the life she's led and the truth of what she's done that she has a real chance of breaking free from the past. Many of us may read this book and turn our noses up at Heloise, her life, and the choices she's made. But how many of us also need to confront the truth of our own lives? The headline catches Heloise’s eye as she waits in the always-long line at the Starbucks closest to her son’s middle school. Of course, a headline is supposed to call attention to itself. That’s its job. Yet these letters are unusually huge, hectoring even, in a typeface suitable for a declaration of war or an invasion by aliens. It’s tacky, tarted up, as much of a strumpet as the woman whose death it’s trumpeting. Heloise finds it interesting that suicide must be fudged but the label of madam requires no similar restraint, only qualification. She supposes that every madam needs her modifier. Suburban Madam, D.C. Madam, Hollywood Madam, Mayflower Madam. “Madam” on its own would make no impression in a headline, and this is the headline of the day, repeated ad nauseam on every news break on WTOP and WBAL, even the local cut-ins on NPR. Suburban Madam dead in apparent suicide. People are speaking of it here in line at this very moment, if only because the suburb in question is the bordering county’s version of this suburb. Albeit a lesser one, the residents of Turner’s Grove agree. Schools not quite as good, green space less lush, too much lower-cost housing bringing in riffraff. You know, the people who can afford only three hundred thousand dollars for a town house. Such as the Sub­urban Madam, although from what Heloise has gleaned, she lived in the most middle of the middle houses, not so grand as to draw attention to herself but not on the fringes either. And yes, Heloise knows that because she has followed almost every news story about the Suburban Madam since her initial arrest eight months ago. She knows her name, Michelle Smith, and what she looks like in her mug shot, the only photo of her that seems to exist. Very dark hair—so dark it must be dyed—very pale eyes, otherwise so ordinary as to be any woman anywhere, the kind of stranger who looks familiar because she looks like so many people you know. Maybe Heloise is a little bit of a hypo­crite, decrying the news coverage even as she eats it up, but then she’s not a disinterested party, unlike the people in this line, most of whom probably use “disinterested” incorrectly in conversation yet consider themselves quite bright. 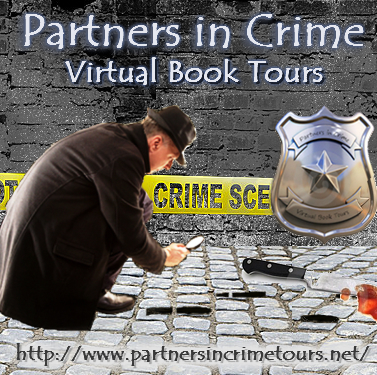 A Stop on the Partners in Crime Book Tour! 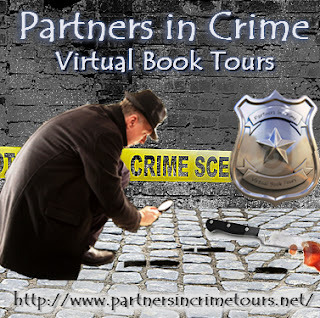 Source: I received this book from the publisher through Partners in Crime Virtual Book Tours for an honest review. I was not compensated in any other way except receiving the book for free. Nice review and post. Thank you. Glad you enjoyed one of your favorite author's latest novel. Cathy - Oh, I like Lippman's character development an awful lot too. One of the things I also like about her writing is the sense of atmosphere she creates. I'm glad you liked this one. Yes, the sense of impending doom was wonderful in this book! It's interesting that you mention the title and your reaction to it. Though I enjoyed the book a lot, I thought the title might have been the weakest element to it, as it seemed to me to set the wrong tone, even the wrong expectation, for the book. I knew of the verse from which the title was taken, but I never saw Heloise/Helen as either good or bad and actually had a hard time reconciling the title with the storyline. Indeed, the title almost suggests the book might be lurid in some way, which it clearly wasn't. It's very interesting how we each interpreted the title! I just finished this and reviewed it today...I'm ashamed to admit I didn't get the the title...I'd never heard of the rhyme until you reminded me just now :/ I feel a little ditzy, but to me, it fits. Heloise had to make some very difficult choices, some of which hurt other people. She wouldn't hurt someone on purpose just for fun, but if someone else had to be hurt in order to protect herself or her son, then so be it. I liked Heloise, don't get me wrong, but the rhyme fits...she hated Val for what he was, but she also hurt people along the way. I liked this book and loved your review! This was my first Lippman; what should I pick up next? You really can't go wrong with Lippman. I've enjoyed all of her standalones as well as the first Tess Monaghan mystery. I've always been interested in Lippman, but didn't realize she was a mystery writer. Thanks for the scoop and recommendation.